You may have been wondering what it takes to learn how to plaster a wall? Do you need to be naturally gifted, is it a born skill that only the select few can develop or can mere mortals like ourselves learn this mysterious trade? Well yes, I’m here to say anyone can learn to plaster but you need to learn the basics. It all starts with the basics. If you learn how to plaster a wall then you can master plastering. It’s as simple as that! That’s why today we’re going to show you how to plaster a wall. It sounds simple enough but unfortunately, it takes a lot to master. That’s why we’re here – we believe you can do it, you just need to follow a plan. However, we need to get the essentials out of the way – it’s time To get to the basics! This sounds so boring, doesn’t it? I bet you were expecting some magic formula or a nice diagram but unfortunately, it’s not interesting. You NEED to know these 3 main points because this is what makes a good plasterer. The biggest part of plastering is learning how to master your time. There are so many elements to plastering that tests your judgment but timing is probably the most important. It literally is the difference between a perfect finish or a flakey, potted wall finished with Edward Scissor Hands. (*update. The British Gypsum time guides are really unrealistic and they really don’t know there own products because as a plasterer the minimum it takes for the plaster is 2.5 – 3 hours. Not only that but they constantly change and update their products. Take their advice with a pinch of salt). This means that you have 2 hours to get your plaster on the walls, flatten, smooth and finish. You can’t cheat but this is what we have. This is why the majority of this article will focus on giving you tips and tricks to get the most from your time. The skill of plastering is being able to get your walls smooth before the plaster sets. It’s as simple as that! If you can learn to finish your plaster before it goes hard then you have cracked it. Unfortunately, it isn’t as easy as it sounds. There is a skill and you do have to master the fundamentals. We are going to turn you into a pro before you’ve even started. The biggest way to save time is by following a plan. To get the most from plastering you need to follow a routine. When I started, I was plastering the middle of the wall, then I’d go to the top, back to the middle, back to the top and then follow to the bottom. There literally wasn’t any order! I just plastered. It got results but it would take twice the amount of time and effort. You need a plan! I mention this in my article on plastering techniques which is crucial so it’s worth repeating. When you’re learning how to plaster a wall you need to follow a plan. It’s a simple plan, but it will save you time. If you’re left-handed then you tend to start from the right side of the wall and work towards the left. If your right handed like my self, then you work left to right. This isn’t crucial but it’s the typical way to be taught plastering. However, if you feel comfortable working in a direction that opposes this rule then fair enough. Just make sure to pick a direction and stick with it! Don’t mix and match. Routine will help you increase your speed and perfection and it also helps to break your trowel in. 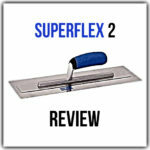 You’re plastering trowel will form depending on your plastering style making it a more personal tool. The more you use it, the better the trowel gets. That’s why a routine will give better results because your tools will adapt to your working style. Once you develop a routine you stop thinking about plastering. It becomes second nature. This is how to plaster a wall like a pro because you don’t even think about it. You start focussing on perfecting your skimming rather than hesitating on “how to do it”! There is more to just being right or left handed though. You need to follow the next part of the plan! Yep, that is a Drake song! You always plaster a wall in 2 halves. It simply isn’t possible to plaster a wall in one stroke – you need to half it. So I start plastering from the bottom of the wall and trowel up to the highest point I can reach. I’m only little so I haven’t got a massive arm’s length but still, it’s enough. I start from the left side and trowel from the bottom roughly plastering 3 quarters of the wall. So by the time I reach the right side of the wall I’ve already skimmed 3 quarters. This only leaves me the top to complete! However, I would recommend that beginners follow a different route. It takes a certain level of control to plaster like I mentioned and it takes time. The way I was taught when I started was to start from the top. This is how I teach in my videos. If you’re right handed then start from the top left side of the wall and work along. Try and plaster down to the midpoint of the wall your plastering and then when the top is complete follow along from the bottom. You should roughly have half a wall left to skim. Starting from the bottom left you meet your plaster in the middle and work along until the whole wall is plastered! This Routine will give you direction. This gives you the ability to master plastering because as mentioned, it becomes second nature! Follow a routine and you will excel! Most beginners go wrong because they don’t know where to start but this method gives you the edge. With this simple method, you will learn to plaster faster and master the skill with ease. All it takes now is practice! There are 7 steps to plastering. This is the formula for learning how to plaster a wall and it all comes down to timing. If you get this right you perfect plastering – Simple! Finish your wall with the final trowel. This is the guide to plastering. Take your time, start in a small area to begin with and spend time getting used to the feel of plastering! I know it’s a lot to take in and it might not make sense. If you want to see how it’s done then we have an answer! I have made a video where I show the exact process behind these 7 steps and break down each element making it easier to understand. I show you how to plaster a wall and also provide you with some techniques to use. If this sounds good (trust me, it’s beneficial), then enter your email in the box below and I’ll send the video to your email address. Simple! Ok so you know the method now you just have to do it! As Tony Robbins says “the mother of skill is repetition”! You just need to plaster over and over again. If you’re serious about learning how to plaster a wall then all you need to do is practice. Ideally, you have a house or a room you can practice on. This way there is no pressure or expectations to get perfection. If there are any problems then so what! All you have to do it a bit of sanding, a bit of filling and you’re sorted. The worst thing you can do is developing a fear of getting it wrong! This is what stops 90% of people from plastering. They are too scared of getting it wrong! Don’t worry about it – like I said worst case scenario is a bit of filling. There’s not much I can teach you about in an article, you’re best doing it. Don’t be scared and give it a go – you can do it! Feel free to leave a comment and have a look around the site for more information on plastering. Heres an article on how to plaster a ceiling – if you can do a wall the next step is ceilings!